Black powder season has started and the rut is underway! 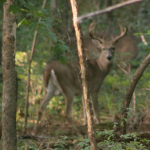 The woods are alive with bucks cruising their territories and chasing does. 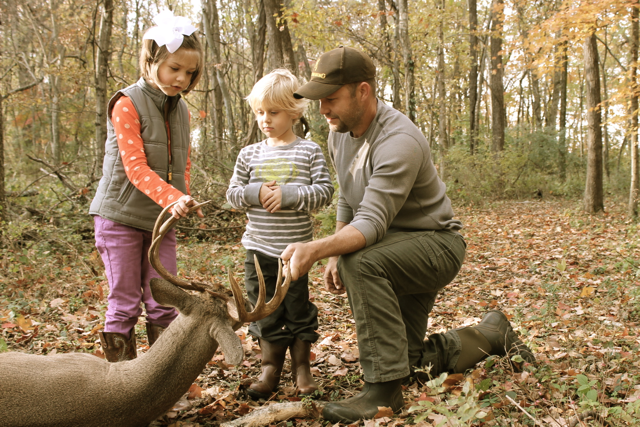 This is the time to get a big buck. Every year we see the same pattern. 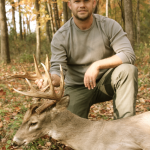 We spot big bucks in late summer and early fall, but as the archery season progresses the bucks disappear. Then, as the rut magically starts up in November the bucks seem to simply re-appear! 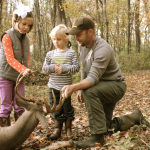 Big bucks are nearly impossible to outsmart as they hardly make mistakes. I would hate to know how many hours I spend in the deer stand to finally get to see the dominant buck I am pursuing…not to mention the hours I have invested in setting up stands, planting food plots, scouting, sighting in my muzzleloader and the list goes on. 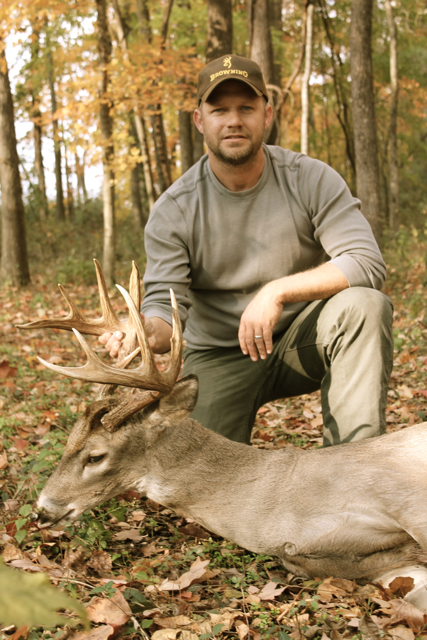 So, when I finally get the opportunity see the buck and make a successful shot, it is an amazing feeling, so rewarding! I was fortunate t0 take the buck pictured early this week. As always, it is a privilege to be the first person to put my hands on such a wild and magnificent animal. We had seen this buck a couple times and were able to take a picture of him (below) in early September. 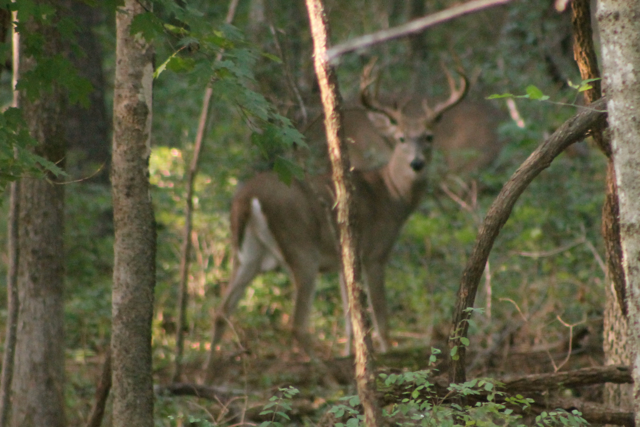 I was unsuccessful in even seeing him during the archery season, but as expected he showed up as the rut began!